Light Duty Galvanised Steel & Polymer Cable Cleat, for multiple cables. The Ellis Matrix cable cleat has been designed, developed, tested and manufactured in accordance with IEC 61914 (Cable cleats for electrical installations). Matrix is available in a range of sizes with range taking ability to suit cables in matrix formation. 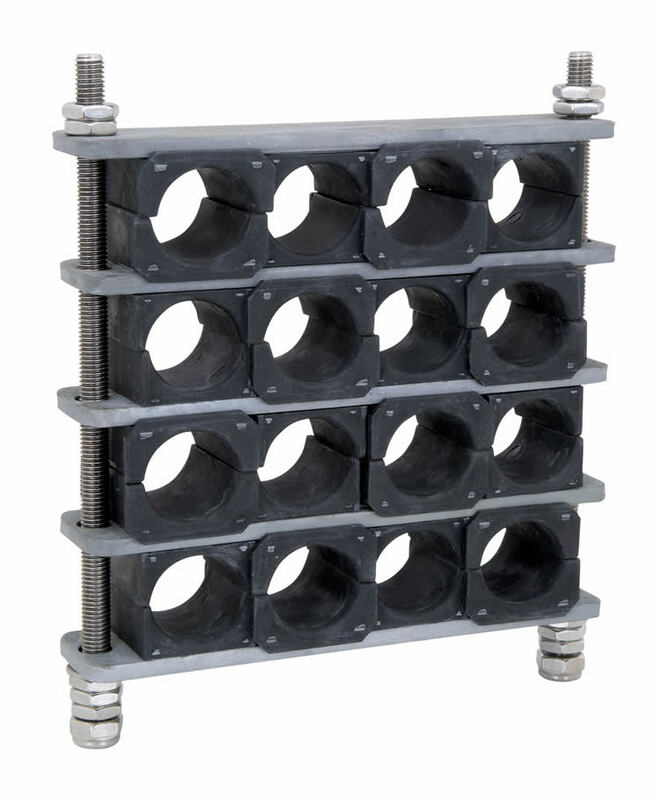 The frame of the cleat is manufactured from hot dipped galvanised steel, the cables are supported by a liner manufactured from a low smoke and fume (LSF) polymeric material. The closure fixing is manufactured from grade A4-70 stainless steel. Matrix can be supplied for cables from 20-70mm diameter and in a multitude of combinations.